JAMMU: Disapproving the performance of state leaders of its political arm BJP, senior Rashtriya Swayamsevak Sangh (RSS) leaders on Wednesday called for improving coordination between its various wings, while avowing to pursue with fresh vigour its fight against Articles 35A and 370, besides making inroads in areas still inaccessible in state politically with a new strategy. All the offshoots of the Sangh parivar had gathered at Ved Mandir enclave this morning for the crucial ‘Samanvay baithak’--coordination meeting, first after fall of BJP-PDP coalition in June this year. The 9-hour-long meeting which started at 10 in the morning and continued till late evening, discussed the dismal performance of BJP state leaders, while they were in power. While such meetings are held periodically, Wednesday’s gained significance particularly in the fact that top RSS leaders Sah Sarkaryavah (joint general secretaries) Manmohan Vaidya and Krishan Gopal, along with top BJP leaders National General Secretaries Ram Madhav and Ramlal had flown to Jammu this time, along with Union Minister of State in PMO, Dr. Jitendra Singh. Madhav was told of the failure of BJP leaders in capturing what was a golden opportunity in state politics while the party was in power with BJP till June this year. 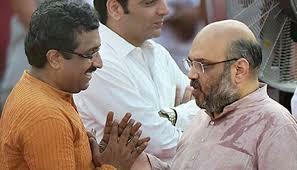 Sources informed that local leadership of BJP was taken to the task by RSS leaders. “They surrendered to PDP. They didn’t exhibit leadership qualities; they even were accused of corruption. There was no benefit of Jammu and Kashmir-based politics continued exploiting the other two regions,” the leaders of Sangh Parivar lamented, sources informed. Sangh Parivar also warned that the party might do well to improve its image ahead of General elections, lest the wrong-doings of BJP leaders cost it big, sources said. The Sangh parivar has decided to pursue its “fight” against Article 35A and Article 370 with new vigor so as to boost the morale of the “nationalist forces, even as it decided to devise a strategy to make inroads in new areas of J&K. Meanwhile, Madhav is believed to have discussed all the confronting issues including decreasing party grip especially in the Jammu region. He was also apprised by the senior BJP, RSS and VHP leaders about the losses incurred by BJP in terms of party base and its popularity during its alliance government with People’s Democratic Party (PDP) in the State, the sources said and added further, the senior party functionaries also discussed the complaints regarding least contact of elected representatives with the people of their respective constituencies, which resulted in resentment among the general public. The senior BJP leaders were also informed about various difficulties being faced by party’s sister organizations like VHP and ABVP in the State, they said, adding, Ram Madhav assured the VHP and RSS leaders to work-out all of their issues in a proper manner. Ram Madhav and other senior party functionaries also exhorted upon the BJP leaders to work for restoring confidence of the people and ensure better coordination with sister organizations of the party, the sources added. After getting appraisal of all the issues confronting the saffron party and its constituents during the daylong meetings with senior leaders of BJP and RSS, VHP, ABVP in Jammu, Ram Madhav along with his other accompanists left for New Delhi.